Most often associated with holy or sacred cleansing practices, hyssop has been used since the ancient Greek era to cleanse locations, cleaning temples or other places that were important. It has also been studied and used within herbal medicine for centuries, and continues to be used today. This bush is related to the mint family and grows approximately one to two feet in height, and blossoms with flowers throughout Southern Europe. Hyssop tea can be ingested to take advantage of all of the healthy components that are contained within this plant, including tannins and flavonoids. It has a flavor somewhat reminiscent to mint, which makes it a popular choice for lovers of herbal varieties of tea. Hyssop tea has a lot of antibiotic properties which are produced from the leaves it’s made from, so drinking it may be a sure way to slow down and stop the growths of harmful bacteria in the body. The flavonoids present in it also have many antibiotic qualities to it which make it useful in helping to treat internal infections in the body such as throat and nasal infections. The many soothing oils that can be benefited from while drinking this tea can help ease sore throats and coughing for those that are sick with illnesses like the cold and flu. Because hyssop is considered to be an expectorant it breaks up the mucus that builds up in the throat and lungs, making way for quick relief, and even quicker healing from these particular sicknesses. The soothing warmth of this drink can relieve feelings of pain and scratchiness in the throat so it’s usually taken before bed since it can offer a better night’s rest. Hyssop tea has proven itself as a beneficial antiseptic as well since it has the ability to help heal cuts and bruises when applied topically. Its antibacterial properties can also help prevent any open wounds from getting infected. This property also makes it useful in treating certain types of fungus on the skin as well. Some also claim that regular usage can reduce the appearance of wrinkles and offer relief for pain and swelling. Directions: To prepare hyssop tea, simply take one tea bag and steep it in a cup of hot water for an approximate 5 to 10 minutes. Afterwards you can sweeten it with honey or sugar, and further flavor it with a bit of milk or creamer as well if preferred. It is recommended to drink at least three cups of this tea a day when using it to remedy specific ailments; otherwise, it can be made and enjoyed whenever preferred. Hyssop tea should not be taken daily for longer than two weeks. A rest period of two weeks is needed before usage can begin again. Those that are interested in trying this refreshingly tasteful and somewhat minty tea can sometimes find it being sold in local health food stores. However, as a more convenient alternative, there are many merchants that sell specialty teas online as well. This method is often preferred by many since they can order many different teas and have them delivered directly to the comfort of their own home. If you are considering purchasing your teas online, it is good to be sure that you are planning to make your purchase from a reliable vendor that you can trust. 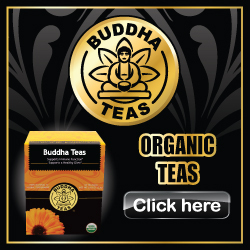 We whole-heartedly recommend Buddha’s Teas as a trust-worthy merchant that offers 100% organic teas, free from unwanted chemicals and pesticides. We truly hope that you have been able to find this article informational and able to answer any questions you may have, however, for further inquiries please don’t hesitate to contact us.